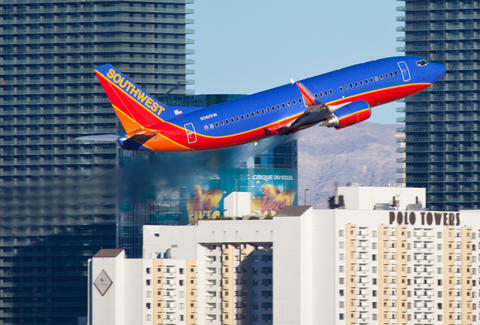 Southwest has been running some fantastic deals lately, and lucky for anyone who still has vacation days left, the airline just launched another sale. Southwest Airlines has one-way flights starting at just $49 for fares on Tuesdays, Wednesdays, and Saturdays between August 23, 2016 - December 17, 2016. Some of the best deals include Los Angeles to San Francisco for $59; Atlanta to DC for $87; New York to Nashville for $111; and Chicago to Cancun, Mexico for $197. Note that the days of the week and exact dates you can travel do vary slightly according to location, but all the details are listed in the terms and conditions on the bottom of the sale page. There are also blackout dates, because there are always blackout dates. One nice thing about this sale - it lasts till June 23, 2016, which is longer than most. You have just about a week to breathe, call a friend, and book this. Kara King is a News Writer at Thrillist and you'll find her in the aisle seat. Send news tips to news@thrillist.com and follow her at @karatillie.